Welcome to U.S. Safety Products. At U.S. Safety Products we make every effort to be sure your purchasing experience is pleasant and that you are 100% completely satisfied. 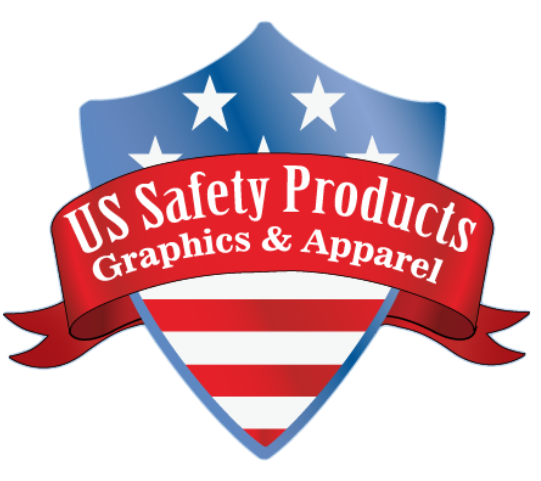 You may contact U.S. Safety Products directly at sales@ussafetyproducts.com or call us at 708-747-7639. We accept Visa, MasterCard or American Express for all types of orders (in person, internet, phone, fax, mail). Open account terms may be extended to government agencies or businesses pending approval. Upon submission of your order, U.S. Safety Products will verify your account information and process your order as quickly as possible. International orders shall be placed by approved credit in the favor of U.S. Safety Products. In the event you receive a damaged or short shipment, you must immediately file a claim with the carrier. Under ICC regulations this claim is the consignee's (your) responsibility. Please contact U.S. Safety Products directly at sales@ussafetyproducts.com or call us at 708-747-7639 for assistance. Returns will be accepted within 30 days of your original purchase. Once the return is received and examined you will receive a full refund minus shipping costs (if any). If you made your purchase with a credit card, credit will be applied to that card. When returning any part of your order, please contact U S Safety Products directly at sales@ussafetyproducts.com or call us at 708-747-7639 and include your U S Safety Products invoice/order# and the specifics of your return. Carefully repackage the merchandise using the original packing material to prevent damage in transit. All items that are returned should be in the same condition as when delivered. Packages can be sent to U S Safety Products, 24 Sangmeister Rd. • Suite B Frankfort, Illinois • 60423. Please insure it for full value and keep all your postal and insurance receipts. Non-Returnable Products including Closeout, Blowout Sale, and Custom Products (including leather shields, gold leaf shields, badges, special order products, and embroidered items made to your specifications) are not returnable. Embroidery items cannot be returned for anything other than mistakes in the embroidery or a manufacturer's defect in the clothing. We will work with you to insure that your embroidery is accurate before embroidering. Boots may be returned, if upon receipt of your order, you determine the sizing is incorrect. Your sizing decision and the acceptance of your boots must occur before you put them in service and within 30 days of purchase. Boots returned with any evidence of use will be returned to you. Helmets may be returned, if upon receipt of your order, the helmet is not what you expected or does not fit properly. You must make this decision before you put your helmet into service, install decals, mark your name on the helmet, or make any other alterations to the helmet. Do not remove any protective coverings from the faceshield, goggles or Bourke flip eye-shields until you decide to keep the helmet. Helmets returned with any indication of use, including perspiration marks on the liner will be returned to you. If you are purchasing products in quantities or are in need of a special or new product which is not found on our web site, we are happy to provide you with a special price quote. Please contact us at sales@ussafetyproducts.com. The manufacturer’s warranty, if one is available, covers Items that have been put into service and are considered to be defective. Please return the item to U.S. Safety Products and we will send it to the manufacturer for evaluation. Repair, a replacement, or a refund will be at the discretion of the manufacturer based on the results of their evaluation. At U.S. Safety Products we have taken all the essential steps to ensure that your on-line purchase is safe and secure using the highest information security services available. Should your browser indicate that your connection is not secure at the time you submit your order, please contact us immediately.